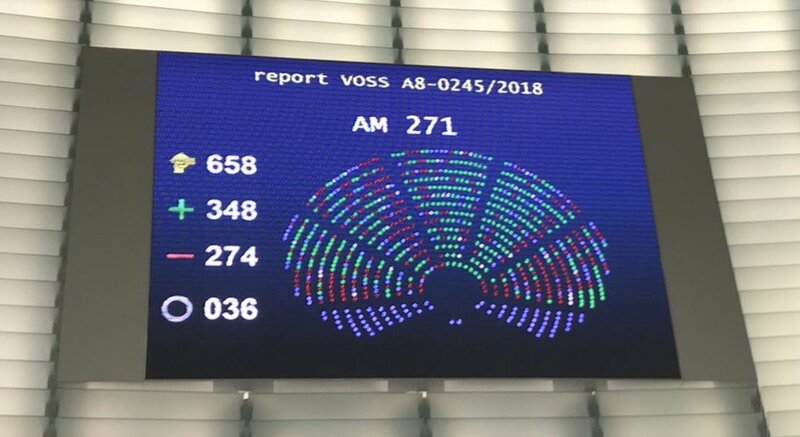 Historic vote in the European parliament to adopt a new copyright directive to address the value gap, introduce a new right for press publishers and establish new rules for artists and writers in their relations with labels and publishers. European parliament approves a new culture programme with a significant budget increase and a dedicated strand for music – a first for the sector. European parliament launches test for Europe’s first dedicated music programme – Music Moves Europe. EU tackles “power gap” by regulating platforms business practices. Boost for culture proposed in new EU budget. Divestment process with WMG reached completion, resulting in a strengthening of the independent sector. WIN, the Worldwide Independent Network is re-launched to boost the international independent network..
IMPALA celebrated its 15th anniversary with a dedicated set of initiatives including a young label spotlight FIVEUNDERFIFTEEN to shine a light on their work. Adoption of IMPALA's Digital Action Plan. IMPALA listed as top influencer by the Commission in Europe's online market strategy. Apple's attempt to discriminate against independents is thwarted by united stance in Europe and across the world, improving terms for all labels, including the majors. Two thirds of labels signing WIN's Fair Digital Deals Declaration are European. IMPALA launches complaint on YouTube, Merlin secures deal after platform threatens to remove independent labels' videos. Guarantee scheme agreed to by the EU to support loans to IMPALA members and SMEs in other sectors. Divestment process with WMG gets underway to move 2% market share into the independent sector. IMPALA and Merlin announce agreement with Warner Music Group to strengthen the independent sector. Launch of the Independent Music Publishers Forum. Biggest ever set of merger remedies secured - Universal ordered to divest two thirds of EMI and respect 10 year behavioural undertakings. IMPALA takes a stance on Universal/EMI and SONY/EMI mergers. First pan-European independent charts launched with Nielsen. First pan-European portal service for members on mechanical licences. Launch of European Mercuries - IMPALA's Independent Album of the Year Award. Adoption of IMPALA's Action Plan for Finance, which introduces a sports style transfer fee. Publication of IMPALA's Code of Conduct for Collecting Societies. Launch of IMPALA's friends programme for companies working with the independent sector. First official cultural and creative platform launched by EU. Adoption of IMPALA's Action Plan for Music including measures to secure market access and finance. IMPALA signs ground-breaking deal with WMG to rebalance the market in face of increasing concentration. IMPALA helps create Merlin, the global digital rights agency for the world’s independent label sector. IMPALA wins key European judgement - SONY/BMG merger clearance annulled. Launch of IMPALA Sales Awards. Creation of WIN, the Worldwide Independent Network, to tackle worldwide industry issues. UNESCO Convention on the Protection and Promotion of the Diversity of Cultural Expressions introduces a new principle of fair and equitable access. First class action against Sony-BMG merger launched. Agreement concluded between independents and iTunes. VAT campaign launched for reduced VAT on music. IMPALA blocks Warner and EMI's attempt to merge. Agreement signed with Napster to license members' repertoire.